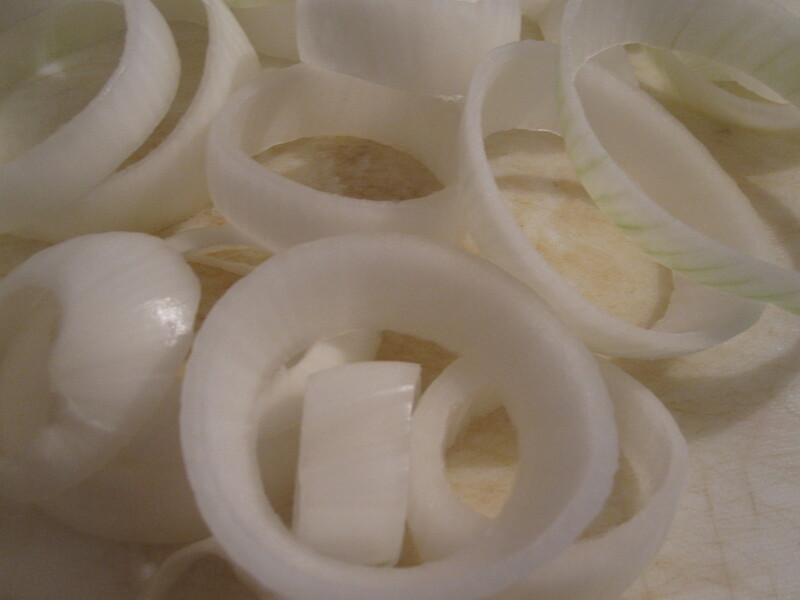 It’s pretty easy to cut the onion into rings. Just cut off the ends and peel. 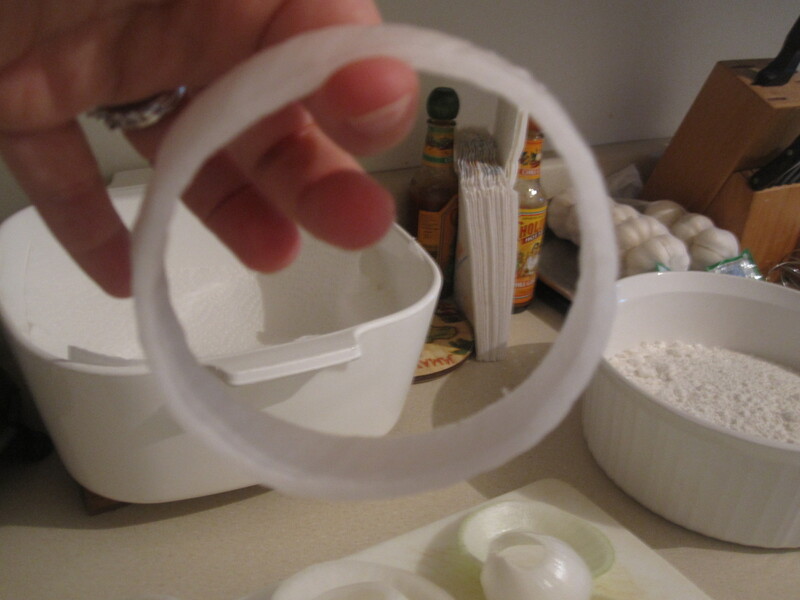 Then slice and carefully peel apart the rings. Easy enough. 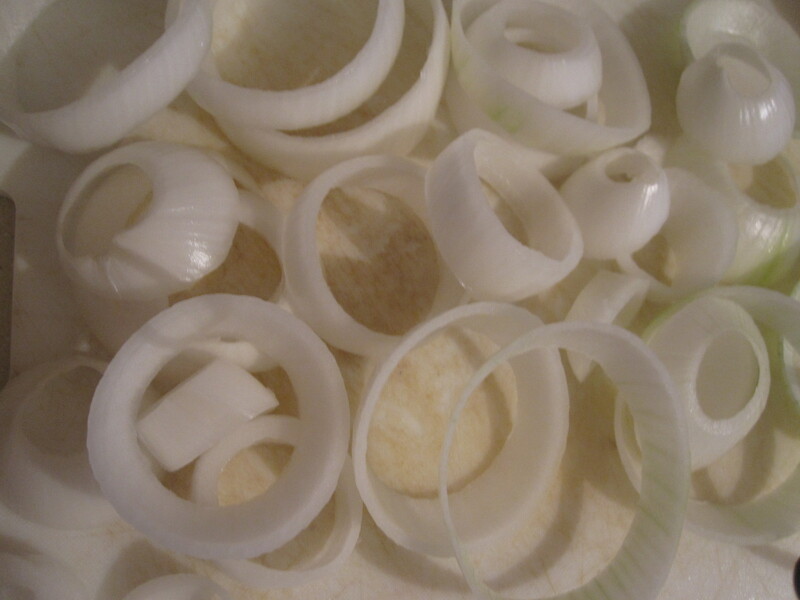 We used a big white onion. 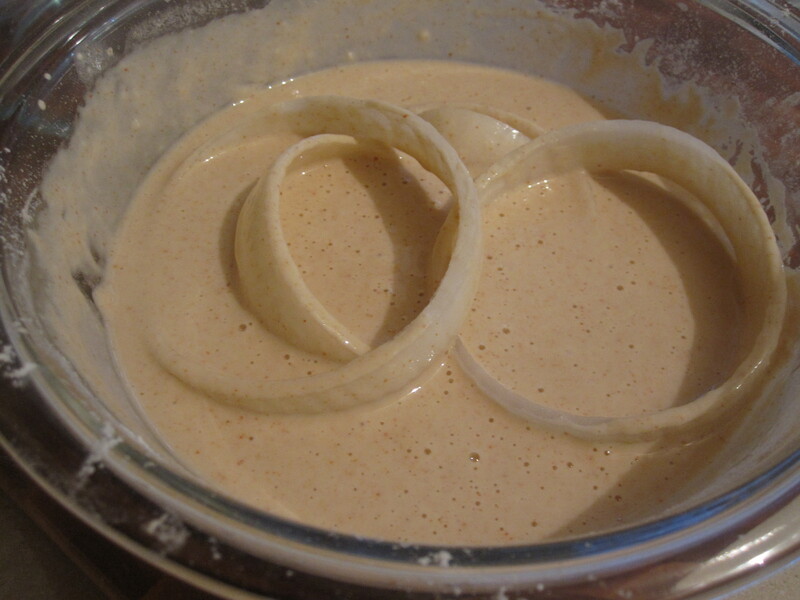 The batter was also pretty easy to make. It consisted of beer, flour, garlic powder and ground cayenne pepper. 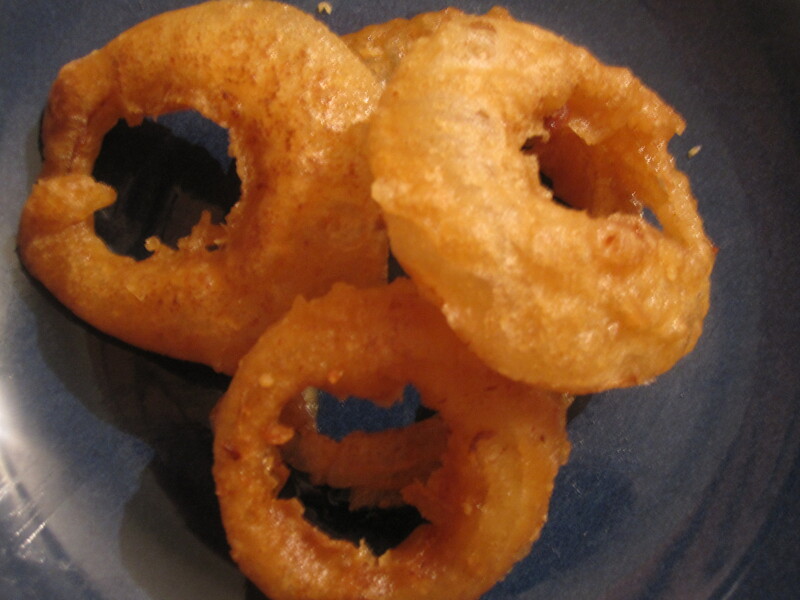 Dip the rings in the batter and fry ’em up. We used the burner on our grill to deep fry since it is so messy and makes the house smell like oil if you cook inside. I also made two dipping sauces to go along with the onion rings. 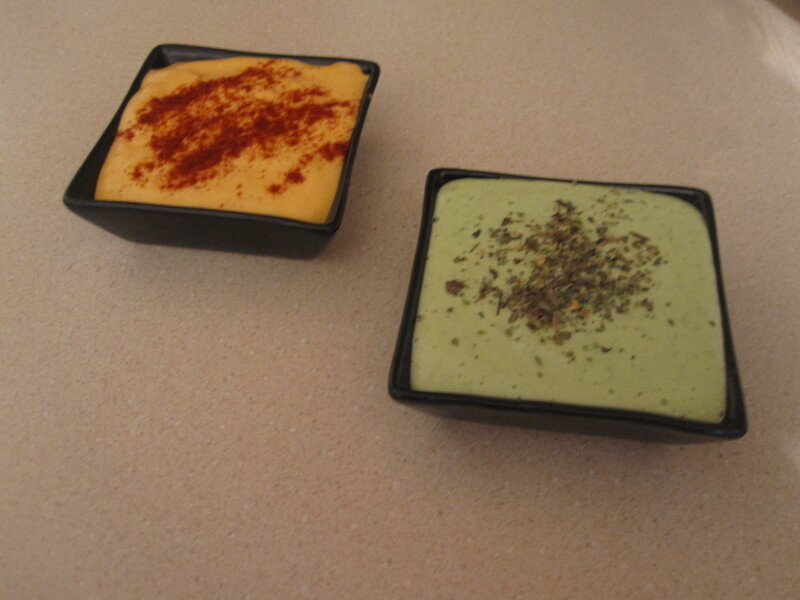 The first was a pesto aioli, which was a mixture of basil, olive oil, garlic and mayonnaise. The second dipping sauce was a spicy mayo, which was siracha and mayonnaise. Both were delish. 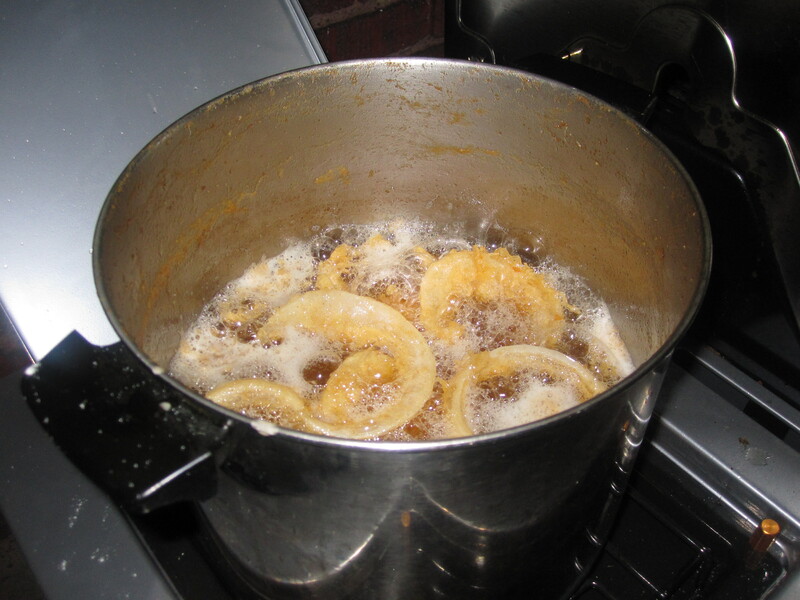 Making onion rings at home was fun and was a nice treat. We had some friends over who also seemed to enjoy them. Hope you do too! This entry was posted in Appetizers, Sides, Vegetarian and tagged aioli, beer battered onion rings, deep fried, deep fryer, dipping sauces, homemade onion rings, mayo, mayonnaise dipping sauces, Pesto, recipe, scratch, siracha, spicy mayo. Bookmark the permalink. Yum!! 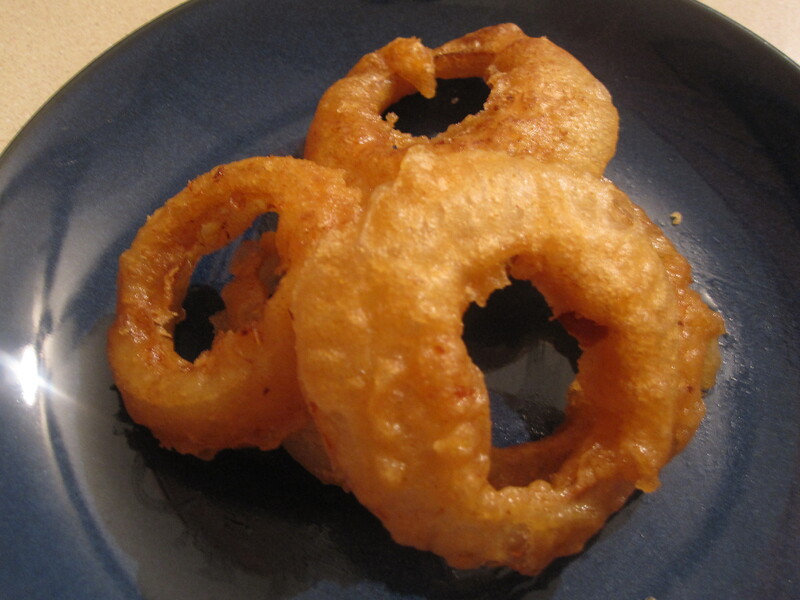 My mom makes onion rings as a special treat sometimes, but I’ve never tried my own. I really need to!! These look delicious!